India’s largest domestic airline prides itself on being punctual. It’s tagline “on-time is a beautiful thing” describes the core pillar that the air traveller wants today, predictability. Punctuality has become part of the airline’s DNA. 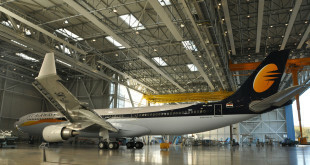 The airline has adopted processes and equipment to meet its punctuality goals. For example IndiGo slavishly closes its counters exactly 45 minutes before a flight’s departure much to the chagrin of some passengers, including me, who have reached the counter one or two minutes late. It appears all the employees at the airline live by the punctuality mantra, which is good, but it’s a delicate balance of process versus customer happiness. It is the employees who put a human face on the highly procedural world of aviation, and in these times of cattle class travel which tests the patience of the best, it is these employees who must balance, what at times can be an excessive zeal, with empathy. The November 13 fracas between a passenger and the commander of IndiGo 6E-287 from New Delhi to Chennai highlights how excess zeal, a lack of empathy, and a lack of patience come together to escalate a situation into an incident. While you can read more about the incident in this report from the Mumbai Mirror, a gist is below. 6E-287 was scheduled to leave New Delhi at 20:45 (8.45 pm). The aircraft performed an inbound flight from Ahmedabad and arrived normally. 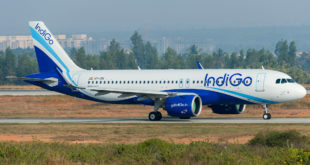 IndiGo turns its aircraft around in 30 minutes block time (i.e. wheel chocks on to wheel chocks off), which means about 20~25 minutes of actual door open time. 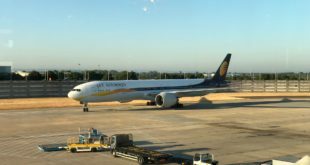 While most passengers from Ahmedabad disembarked normally, an elderly passenger who had suffered multiple fractures needed a special automated wheel-chair and was in extremely pain and took a long time to de-board. In the mean time, in their zeal for on-time, IndiGo gate staff loaded up the departing passengers on to ramp buses and sent them to aircraft. With the boarding process delayed by the injured passenger, passengers were kept on board the buses for over 30 minutes. One of the passengers seated in the rear got worked-up and voiced his opinion to the flight commander that he should apologise for the delay. The war of words quickly escalated and the pilot demanded the passenger be off-loaded. Soon ground-staff and CISF security guards were called to remove the passenger. Many fellow passengers sided with the protesting passenger and objected when removal was attempted. The flight finally departed, with the protester passenger on-board, and with a delay of 90 minutes. IndiGo was clearly a victim of circumstances and I truly sympathise; but instead of adapting to the situation, the crew from the gate to the aircraft, created a series of mistakes which inflamed the situation. I hope the IndiGo management will look in to my observations and comments in their quest for continuous improvement process (CIP). At most Indian airports, aircraft are parked at non-aero-bridge stands and use buses to ferry passengers to and from the terminal. This adds time to the entire boarding process. It appears that IndiGo has made it a practice to send the departing passengers buses a little before the aircraft is ready to receive them. This is an acceptable work-around but a delay sticks departing passengers on the bus. I have experienced this when travelling with IndiGo on October 12th. These buses are okay for a five minute ride but after 10 minutes with a full standing load, they can get suffocating and uncomfortable, asthmatics and claustrophobes more so. 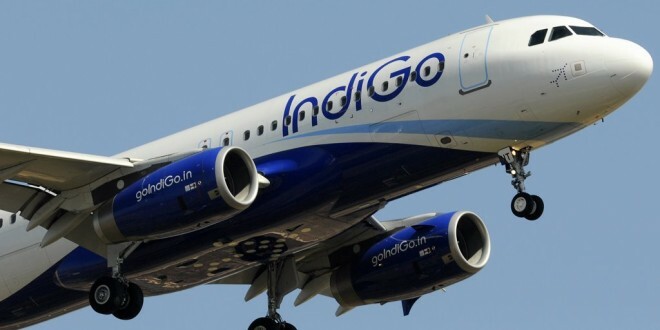 IndiGo must improve synchronisation between the aircraft ground team and the gate team. IndiGo staff also need to be more empathetic despite the fact that the average Indian passenger is a spend-thrift bully. They want dirt-cheap prices and yet 5-star service. The word ‘courtesy’ does not exist in their dictionary and airline staff is someone they can boss around. Yet, for all their faults, they are by and large empathetic with the elderly, infirm, and especially an elderly infirm. The protester passenger who boarded from the rear door could not make out the delay was due to the elderly passenger who de-boarded from the front. He probably felt IndiGo should apologise and the Captain is the senior-most representative present. From the Captain’s view-point the passenger could have been belligerent and could pose a threat on the upcoming two and half hours flight to Chennai. The war of words could have been easily defused with a polite apology. The Captain would have clearly seen the buses lined up at the aircraft for a long time. A simple quick explanation of the delay along with a small polite apology would have created empathy with the passengers and put them at ease. IndiGo staff must appreciate that air travel is no longer glamorous, instead it is tedious. A 24×7 economy is taking it human toll too. Across the board stress levels are up and patience is down.